The days are changing rapidly and so is the technology. These improvements in technology have changed the outlook of people in virtually every field. Hence, it is high time that marketing agencies change their methods of marketing as well. Marketing is the key aspect of any business. Business entrepreneurs must have heard the terms ‘outbound marketing’ and inbound marketing’. Let us see the characteristics of both these concepts and determine which of the two should be the trend in 2018. Before going through the intricacies of the subject matter, have a close look at this image. 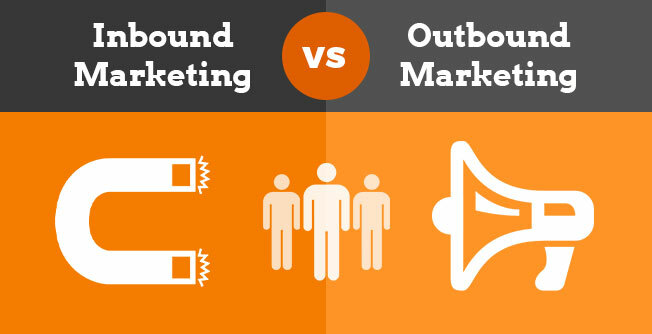 This image tells you everything about inbound and outbound marketing. Let us define both outbound marketing and inbound marketing in the simplest manner. Outbound marketing involves advertising campaigns where business enterprises reach out to their customers using various channels of advertising such as print and electronic media. Inbound marketing involves techniques whereby your advertising campaigns help the customer reach out to you. What are the basic differences between the two? We shall look at them and determine which of the strategies businesses should follow in 2018. Let us compare the two concepts to get a better understanding. Outbound Marketing – How would you like if someone just barged into your house without an invitation? Your natural tendency would be resist the intrusion. This is what outbound marketing does when it bombards everyone with advertising campaigns irrespective of the fact whether the customer is interested or not. The simplest examples would be the advertising billboards you encounter on the streets. The television commercials qualify under the same category as well. Inbound Marketing – Consider the same scenario when the guest seeks your permission to enter your house. Would this not be a more decent way of making your point across? Naturally, such methods do fetch results. This is the concept of inbound marketing. The customer gives you the permission to communicate with him. It can be in the form of an email subscription, social media interactions, blog subscription, and so on. You give answers to what the customer seeks. Therefore, the chances of conversion are better. The Yellow Pages are also an example of inbound marketing. Yellow Pages can also be used in Local SEO. You can also check out my blog on 15 factor you need to keep in mind for Local SEO. It is a different matter that the advancements in technology have rendered the yellow pages into the background. Outbound Marketing – One can compare outbound marketing as a footnote to the main article or event. People might or might not take notice of your presence. You might have the best advertising campaigners working for you to create the best advertisements, but you are still not the center of attraction. In fact, people consider television commercials more as a distraction. You can have a presence, but a lot depends on the customer’s preferences whether to avail your services or not. Inbound Marketing – You connect to your audience because they have already evinced an interest in your products and services. This marketing technique provides you with the opportunity to interact with your audience and provide them the best information possible. Hence, the audience does not view you as a distraction in any way. You get to educate your audience and connect with them in a transparent manner. Outbound Marketing – This method of marketing takes a simple or linear strategy. You have your options clearly cut out. There are various methods of advertising such as tradeshows, billboards, newspaper advertisements, TV commercials, and so on. Outbound marketing experts analyze the potential of each medium before deciding on the strategy to adopt. In this way, budget allocation becomes easy as you can have a higher budget for a more effective campaign. Analyzing the results and improving upon them is also easy. 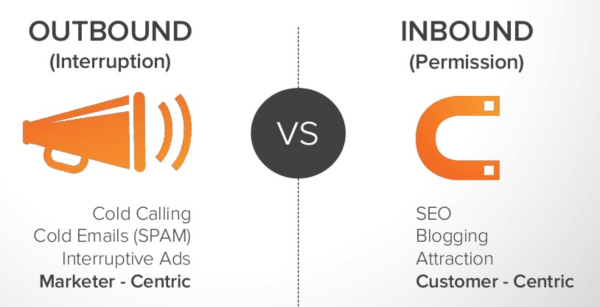 Inbound Marketing – In comparison, inbound marketing takes a holistic approach. It involves a lot of interconnections as it makes simultaneous use of all digital channels. This method requires continuous improvisation of the website, development of content, and other factors. As with any holistic approach, this method requires maintaining a lot of discipline. You have to balance between budgeting for distribution, landing pages, blogs, SEO optimization, and social media marketing. This envisages the presence of a solid website. This brings SEO optimization into the picture. Maintaining a higher rank in the SERPs becomes imperative. It requires you to follow a complex strategy. Outbound Marketing – “If you cannot convince anybody, confuse them.” This is the golden rule of marketing. You get to see such tactics in outbound marketing. You have a wide target audience. The system is such that you try to send the same message irrespective of the classification of your audience. A message for a teenager should definitely be different from that you send to a middle-aged person or a senior citizen. This is not possible in outbound marketing. Hence, you are forced to compromise your relationship with customer. This confuses the customer more than convincing him to avail your services. Inbound Marketing – Inbound marketing is more like filling in the blanks. You present information that the customer wants to know. In fact, you answer his questions whereby it is a kind of an educative process for the customer. The customer learns more about your product and services by posing questions from his side. This technique values customer involvement more than anything else. This enables you to offer a higher degree of satisfaction than anything else. Hence, you see a higher conversion of leads because it is a voluntary and informed decision as compared to the forceful methods of outbound marketing. Outbound Marketing – The major difference between outbound and inbound marketing is that the former is temporary and the latter is a permanent method. In the outbound marketing strategy, you are only as good as your last marketing campaign. You have to start afresh with every new campaign. You have to look out for new distribution channels every time you come up with a campaign. It is like renting your distribution. 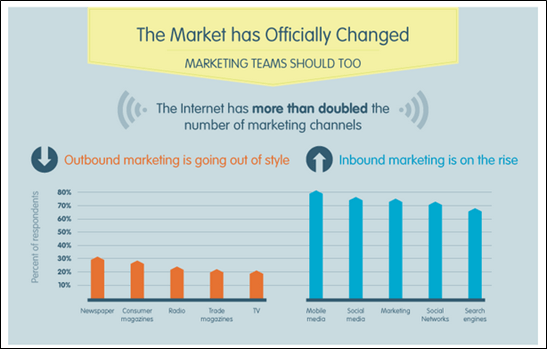 Inbound Marketing – Here, you own your distribution channels. You have a dedicated customer base in the form of an email subscription list, social media fans, etc. You create your own keywords that help your website to rank high on the SERPs. You have your own blogging network with your clients contributing to it on a regular basis. Hence, it is more of a permanent advertising campaign as compared to outbound marketing. Outbound Marketing – It is very hard to measure the success of outbound marketing techniques. Of course, you have ways of asking people as to how they heard about us. But, it is not easy to verify their claims. Hence, it becomes difficult to measure the extent to which your individual campaigns have been successful. You would have used various campaigns for your marketing. In the absence of concrete information, you would find it difficult to set a clear roadmap for your next campaign. Inbound marketing – It is very easy to analyze the success of your inbound marketing campaigns as they are clearly documented. You are in a better position to evaluate the conversion rate of your various campaigns. You have a perfect record about the success rate of each of your campaigning strategies. This can help you formulate a new campaign the next time you chalk out a strategy. 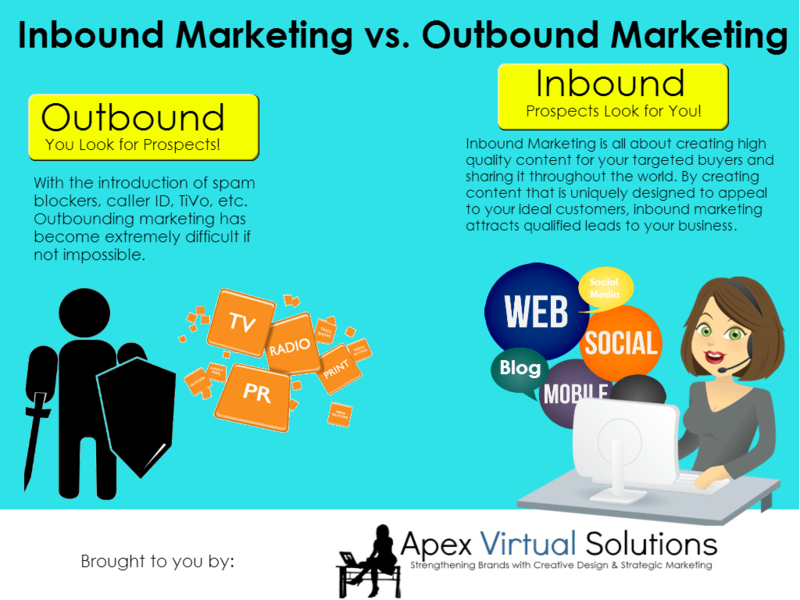 Considering the technology available today, Inbound Marketing is definitely better than Outbound Marketing. But, that does not mean that one should discount Outbound marketing altogether. A successful business enterprise is one that has a perfect mix of both the marketing strategies. This has worked for business enterprises in 2017. There is no reason why it should not in 2018 as well. The days are changing very fast. One needs to adopt the latest technology to succeed in business. But, that does not entail you to ignore the existing methods that have been successful throughout. 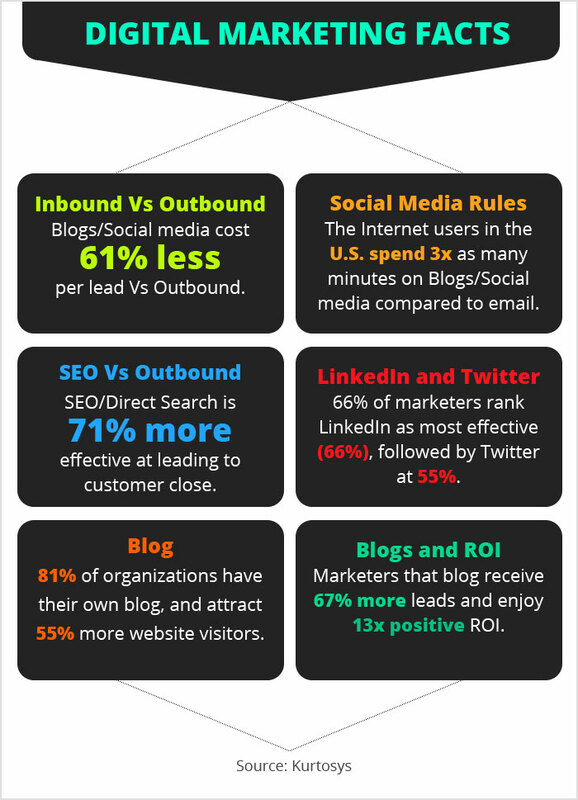 Inbound marketing is advantageous in many ways. The biggest advantage of this mode of marketing is that it does not require a high budgetary allocation. The above Infographic is very clear about the route one should take as far as marketing is concerned in 2018. It succeeds because you do this type of marketing with the explicit permission of the client. Hence, you see a higher lead conversion rate. This method provides you with the opportunity to interact with your customers on a real-time basis. Hence, you are able to solve the issues faced by your customers. This results in a higher degree of customer satisfaction. Automatically, you become successful in your business endeavors. Guest article written by: Shishir is an ex-startup entrepreneur currently working on kickstarting inbound marketing for a Silicon Valley startup. Cracked the code of generating 750K monthly traffic in 10 months by using creative content. Next post: Is a Real-Time Communications Option Right for Your Business?